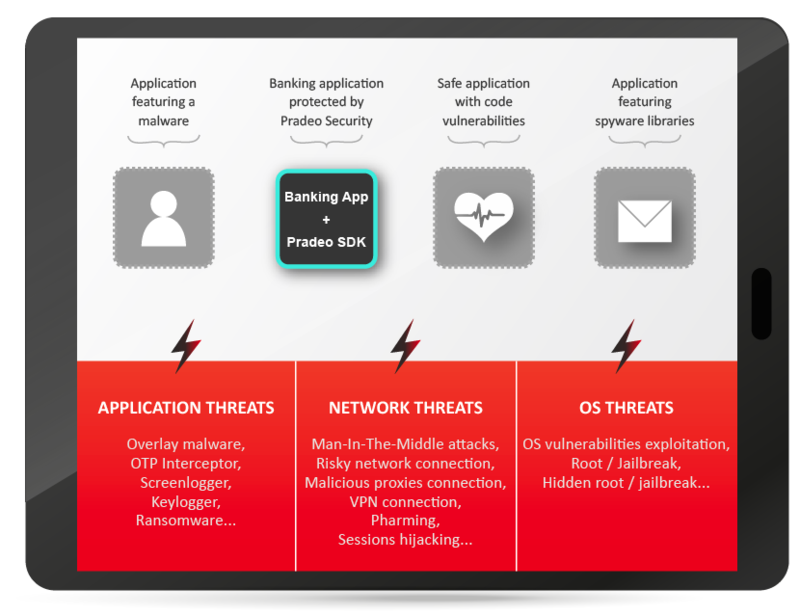 Pradeo Security Application Self-Protection detects threats running on end-users mobile devices to protect the mobile banking application from fraud and data leakage. By directly acting on-device, it offers a real-time protection against the ever-growing mobile threats and reinforces the bank compliance with data protection regulations. The financial institution uses Pradeo Security Application Self-Protection and Threat Intelligence module to proactively protect its mobile banking users and populate its SIEM database with mobile security data.